And with lots of stuff for mummy and baby! Dadgear backpack. Perfect for dads and non girly mums like me. Backpacks are just so much more convenient than other forms of bags when I have to manage Sophia alone. 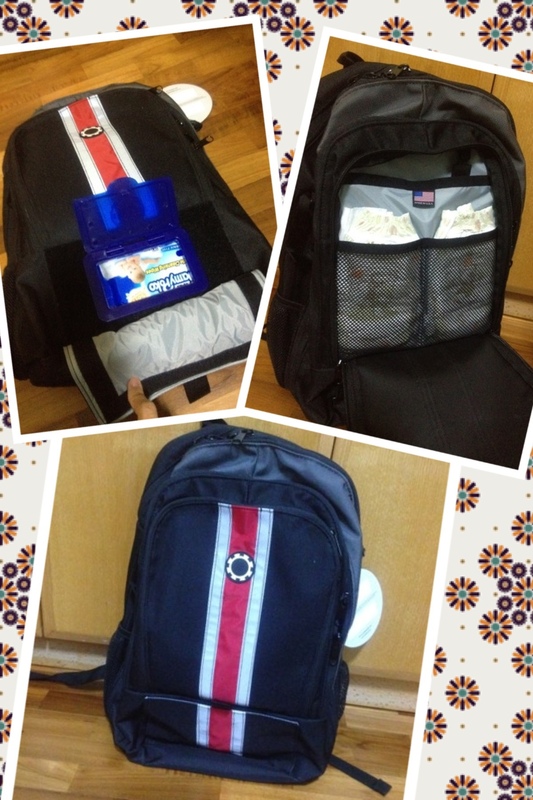 This one has got tonnes of compartments for diapers, bottles, clothes and even a special easy access wipes contraption. Loving it so far. 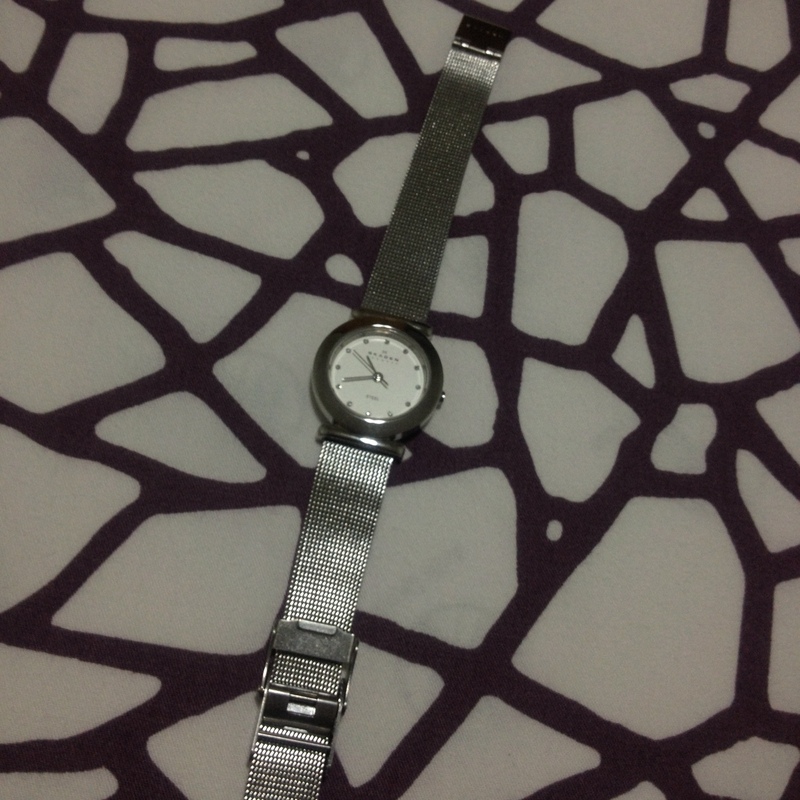 Its not too chunky, its pretty without being girly, it tells the time. I like my new Skagen watch. Post delivery my skin is very dry. I need to do something about it. 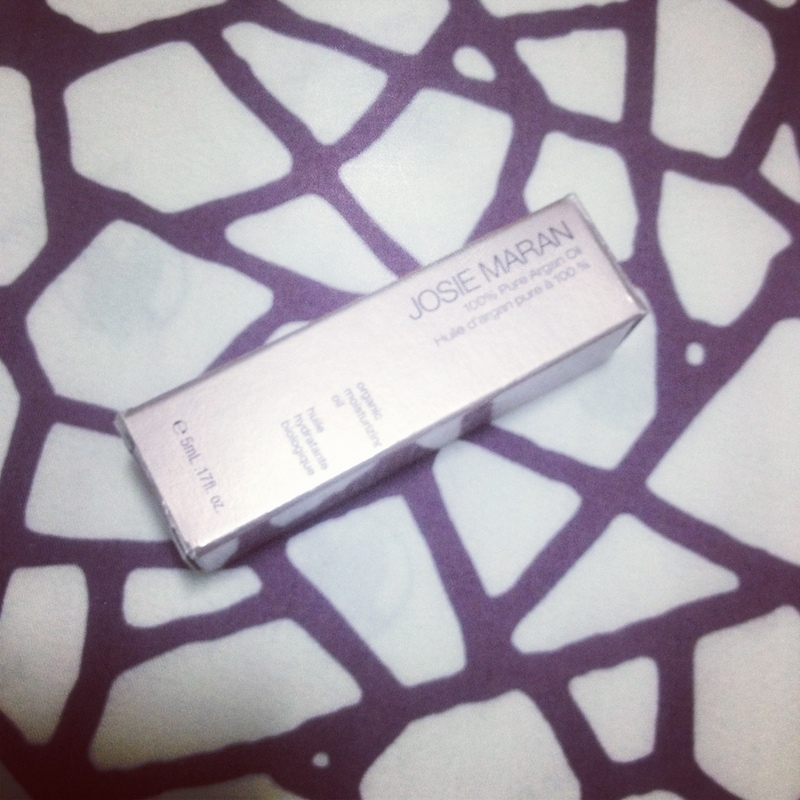 Enters Josie Maran Argan Oil. I just dabbed on 3 drops before my moisturiser and my skin feels supple already. I have heard that it has the potential to cause breakouts though so I will be observing for signs. Its good to have daddy back. He can carry Sophia for seemingly unlimited periods of time. Have I ever mentioned that for the first 28 years of my life I have never won so much as a pack of tissue paper in any luck based contest such as lucky draw, scratch and win or the sweeps? Well Sophia is my lucky charm because when I was pregnant I won a casserole (ok dumb prize but it was seriously the first lucky draw I have won in my life) and some stuff from parents’ blogs which I would not be reading if not for Sophia, of course. One of these wins is a $50 voucher from for The Elly Store from a Mother Inc. contest. I put in my entry then completely forgot about it because, like I said, I never win. But I did this time and I’m really glad because their clothes are oh-so-adorable. I got a pinafore dress (they call it the wonderland dress) in a “how to fold a paperhat” fabric that is just my type of subtle quirkiness. *Loves*Also bought a pair of skeanie shoes that have rubber soles so don’t wear out as easily as the leather see kai run ones but are still really flexible. I wish they had more / prettier designs but when it comes to kids shoes functionality is definitely more important. The owner, Audrey, was also really sweet. She kept saying nice things about my very naughty girl who sometimes cried for no reason and clung on to me while I was shopping and took the toy rabbits all over the place. She was so sweet and chatty and not pushy at all. Going to the shop is such a pleasant experience and even Sophia who was woken up from her nap on the car eventually enjoyed herself colouring with the crayons and coloured paper provided. Here’s information about their store in case you, like me, are hooked from the first click on the link to their store! As a working mum, I have very little time to shop for baby products so much of my shopping is done online. Thought I’ll share my favourite sites here with everyone. iHerb – They’re now having free international shipping for orders between $60 and $80 and weighing below 4 pounds. Make use of it! Also, there is a $10 discount for orders of $40 or more if you enter coupon code GEM423. I mainly get Plum Organics and Happy Bellies pouches of baby food for travel and outings, and Earth’s Best snacks for baby to nibble on. I also get either animal parade or child’s life multivitamin and either nordic naturals baby DHA or Jarrows Formulas Max DHA, both to add into Sophia’s breakfast just as a safetynet in case she does not get enough of these nutrients from food. For myself I rotate between a few brands of prenatal multivitamins when I was breastfeeding and also DHA supplements. I also get Suncoat nail polish which is water based and hence I feel safer knowing that I am not dipping toxic nails into baby’s food when I grate up fruits for Sophia. www.theorganicgrocer.com.sg – I mostly buy the fish and berries from here and throw in other stuff like fresh greens to make up the minimum order. I’m quite clueless as to what the names of the fishes I can find in our markets are in proper english so when I do my research as to what kinds of fish are high in omega 3 and low in mercury, the only name I can recognise is Salmon, which unfortunately Sophia doesn’t particularly fancy. So I resort to online purchasing and The Organic Grocer is one of the few places that carry frozen seafood. I don’t think the seafood is necessarily organic but I don’t really mind because when it comes to seafood, wild caught is better than farmed but I doubt wild caught fish can be certified organic since there’s no evidence as to what the fish ate and what it came into contact with. The other thing is of course berries and the organic grocer seems to have a fairly stable supply of fresh berries whereas when I head to the supermarket its always luck of the draw as to whether I can even find non-organic ones. And we all know berries are part of the dirty dozen so organic is good. I also stock a bag of frozen organic strawberries for when I run out of fresh fruits for Sophia. Its also the cheapest source of “clean” chicken I found so far but they’re only hormone and antibodies free, not “organic”. So I suppose sakura chicken from the supermarket would be similar. Old Navy – They are having their stock up sale at the moment, lots of useful basics at very cheap prices and they are even having a 10% discount, no exclusions, on top of that. Good deal. But even without the sale I would go crazy at this website because there are just so many good quality, not OTT pieces at reasonable prices. Smallsmallworld – Parklon and LG floormats in colourful designs. Excellent quality. LG is supposed to be better. I have a Parklon and its functioning well, I can’t tell what the difference is other than in price. Amazon – Amazon needs no introduction of course. I use it for books and toys mainly. Mums & Babes – Another general merchandise place that stocks up a variety of quality products rather than cheap junk. This post covers the basic essentials. Perhaps someday I’ll do another feature of the sites I go to when I want to give myself / baby a treat with stylish/quirky products. The above sites stock quality stuff, don’t get me wrong, but they are mostly down to earth, useful, long lasting products rather than oh-my-god-this-is -so-cute-I-need-to-get-it stuff. Just a quick post using my new toy – iPhone 4s and the wordpress app on it. This will probably come in handy. So far loving the camera on the phone. Now if only I can stop Sophia from snatching it or looking longingly at it whenever I fish it put. Currently I’m variations of the same 2 pictures in my photo library: a blur of flailing hands reaching for the phone or a dazed longing look. She hasn’t actually laid hands on this phone yet and I’m going to try make sure it stays this way for as long as possible. Ok, this trial post is going to be really short because I can’t seem to get my fat fingers to type right in the iPhone keypad. I’ve been using this the most especially when meeting friends for lunch as Sophia is still too young to sit on a high chair for extended periods of time so she has to sit in her stroller. It also allows her to nap as my lunchtime is her long nap time. However, if I were to be able to turn back the clock, I would opt for a different stroller. A lighter umbrella stroller probably the Maclaren Techno XT which is light but well built and able to fully recline for use from day 1. Now that I already have a tank of a stroller, I’m thinking of getting a cheap umbrella one for my own convenience, perhaps the Chicco Liteway, which seems to be getting good reviews too. I seem to have forgotten to mention what was wrong with the Inglesina Zippy. The biggest fault is its too heavy. Its too difficult to hold baby with one hand and fold it with the other and heave it onto the car boot. Its also too bulky and difficult to navigate corners and small spaces. The last issue, a big one to me, is that the seat portion is too long so Sophia slides too far forward when sitting on it. As a result, instead of bending at the hip when the seat is up, she kind of slouches with the fold of the pram at the middle of her back. This is the greatest issue I have with the stroller as it surely is bad for her spinal development. Its great, good distribution of weight. I walk 40 minutes a day to and fro my husband’s workplace carrying Sophia in it, no problems at all. Sophia also falls asleep lying on me when carried in it so despite what people may say about legs spreading too wide, she must be reasonably comfortable in it. Its pretty expensive and I don’t see what’s the big improvement over the ergo but I love it on its own if I don’t think about the fact that there is a cheaper alternative in the ergo. Sophia loved it as a small baby less than a month old, she always falls into a deep sleep when put into it. 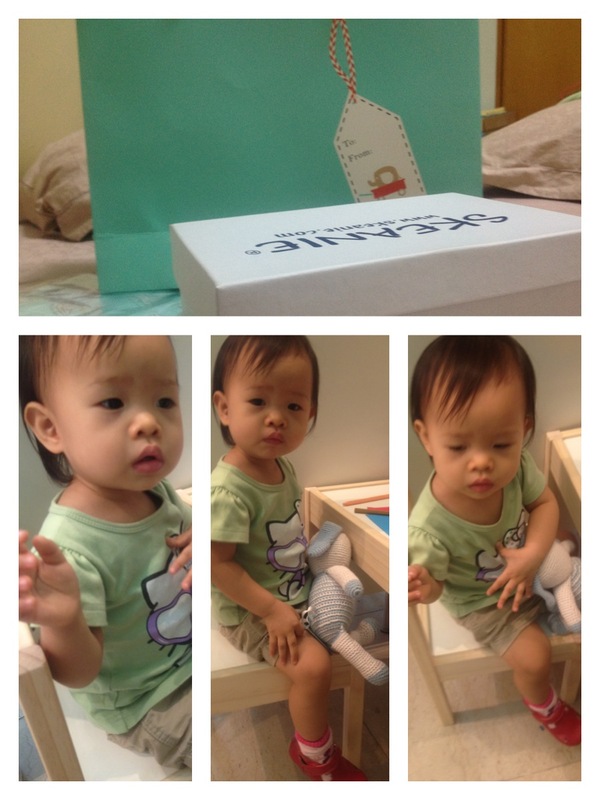 However, she doesn’t like it at all now and cries when put into it, so its now a white elephant. Tiring! Especially as baby grows older but hasn’t gained sufficient neck and back strength to be held with just one hand for extended periods of time. Its impossible to go shopping with both hands engaged in supporting baby. Moreover, when baby pukes (quite often), there’s no spare hand to wipe it off! 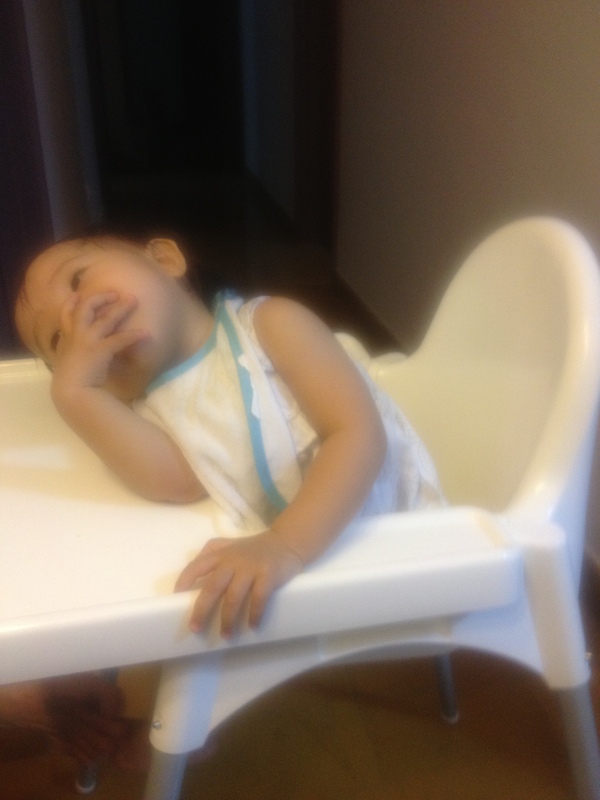 Sophia sat on her cousin Samuel’s high chair today and seemed to like it a lot. She was leaning and resting her arms on the sides like a princess and smiling at everyone. Samuel’s gong gong even carried Samuel to look at Sophia so Sophia graciously returned the throne to Samuel gor gor. She didn’t quite enjoy the bumbo chair as much though. Looks like I need to head to Ikea to buy the high chair soon! I had lunch with a friend today and when we’re done and throughout lunch Sophia kept making grunting noises which I ignored. When we finishe eating and were chatting, she decided to make louder noises which finally caught my attention and when I turned over, I found that the blanket she was grabbing had yellow stains on it. First thought was to scold the maid as I just grabbed the blanket from the drawer before coming out. But upon lifting the blanket I saw…. poo leaking from the side of Sophia’s diaper and all over the pram. Why didn’t the diaper do its job? ?